Howdy and welcome to today's post. So as you can probably gleam from the title, I started a YouTube channel! 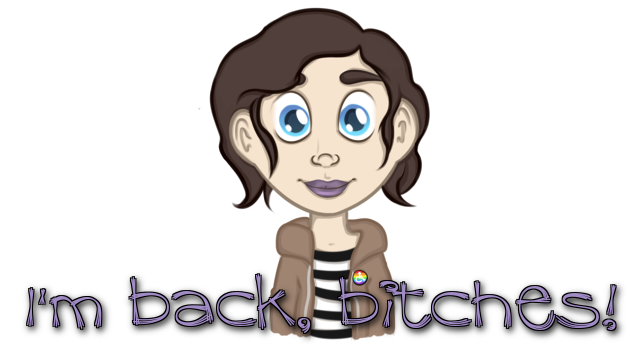 I actually started it before I got my blog back online. It was sort of a way to procrastinate but still feel productive. Now my blog is up and running again, I plan to maintain both, however the likelihood is the YouTube videos will be somewhat infrequent. Much like my blog, my channel is going to be somewhat eclectic. At the minute I'm concentrating on getting comfortable in front of the camera, speaking and editing videos and thumbnails. I've had YouTube channels in the past that I have since deleted for various reasons, so I'm not a complete novice but it's still been a while. Along with the fun things like tags and challenges, I'd like to talk more about my hobbies, such as arts and crafts. I'd also like to make pet videos, the first of which I uploaded last night. It's about Agron, my Giant African Land Snail. 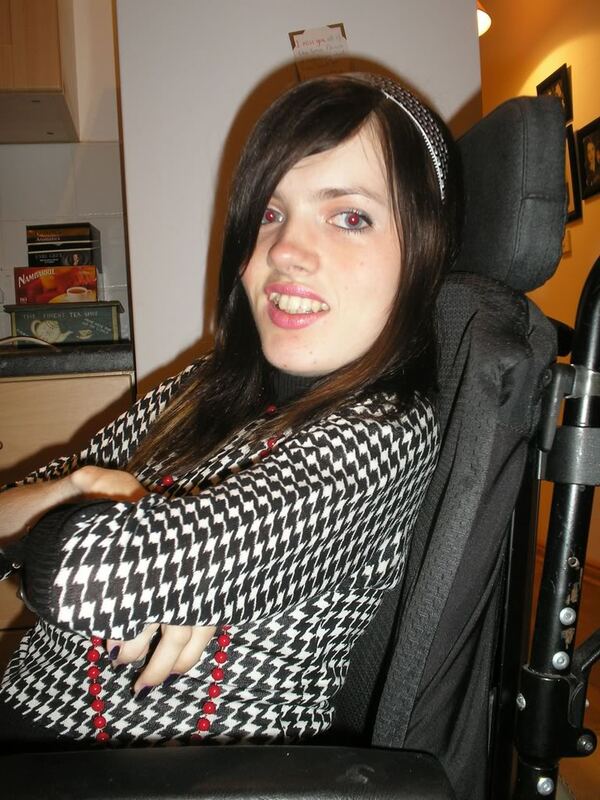 In the future I'd also like to bring more of my activism to my channel, talking about disability and lgbt+ issues as well. I will maybe vlog a little as well. So yeah, I'm really looking forward to creating and uploading more content in the future. I probably won't cross post vids on to my blog, unless I'm particularly proud of it or think it may be of interest to my blog readers. So if you're interested in keeping up with my channel as well, please do subscribe. I'd honestly appreciate it so much. 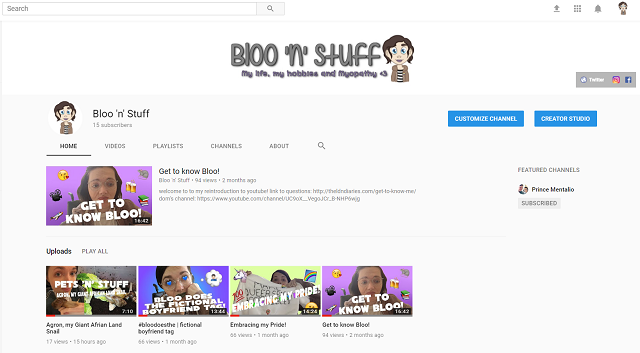 While I won't be cross posting every video, I thought I would finish off this post with the first official video I uploaded on my channel, Get to know Bloo! If you're been a reader of mine for a while, maybe you'll learn something new. If you're a first time reader or new reader, then hopefully this will help you get to know me a little better. Enjoy! "Pets are humanising. They remind us we have an obligation and responsibility to preserve and nurture and care for all life." Hello and welcome to today's post. No, I haven't got a new pet to share with you today but I am currently making plans for one in the future. The distant future. I think my family is tired of me talking about my new obsession, so I figured I'd hit you guys with it instead. When I lost Rue suddenly back in January, I knew some day I would want another hamster. 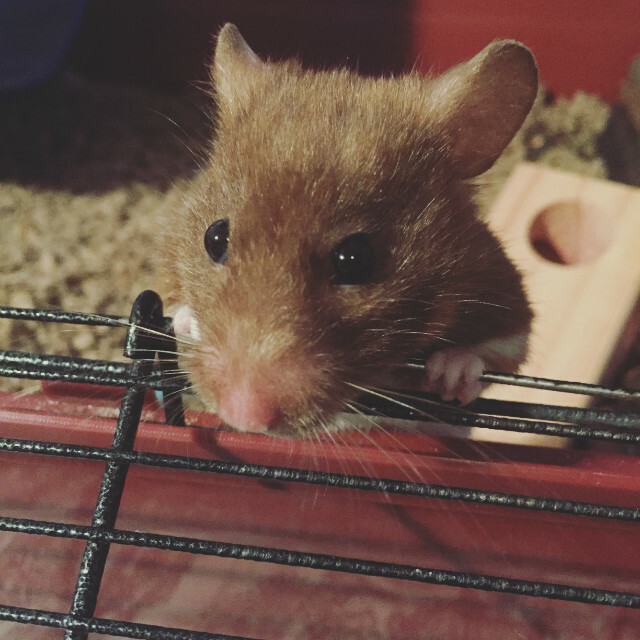 Rodents are one of my favourite types of animal to own. I have a special affinity with them and I honestly feel like there's really something missing in my home when there isn't one there. However, I decided to wait until the adaptions were done to my home and I moved rooms before I thought about bringing in another rodent. I wasn't sure how much of a disruption the work would be and I didn't want the potential noise etc stressing out my little fur baby. We are now in October and we are still waiting for my adaptions to be completed, so I've continued waiting until the time is right to introduce another kid to my pet family. However, my sister has always been interested in Betta fish (also commonly known as Siamese fighting fish) and has always planned to get one once our house work is done. 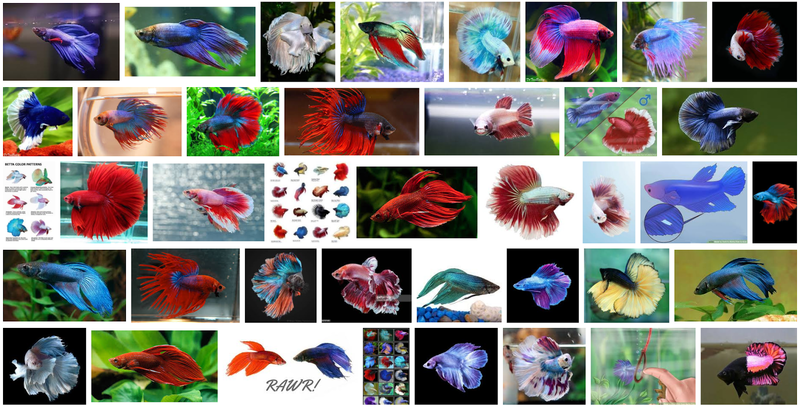 Obviously she's also still waiting but now we're reaching the end of the adaptions (I'll have to update you guys on that soon...), she's been talking more about her Betta. "A dog will teach you unconditional love. If you can have that in your life, things won't be too bad." Howdy and welcome to today's post. It's going to be one of those ones that I don't know how to begin. I struggle with how to start posts at the best of times but today's is especially hard. It's a post nobody wants to write and something I didn't think I'd have to face any time soon. Still, it's not as bad as I thought it might be just a few days ago and I'm grateful for that small mercy. 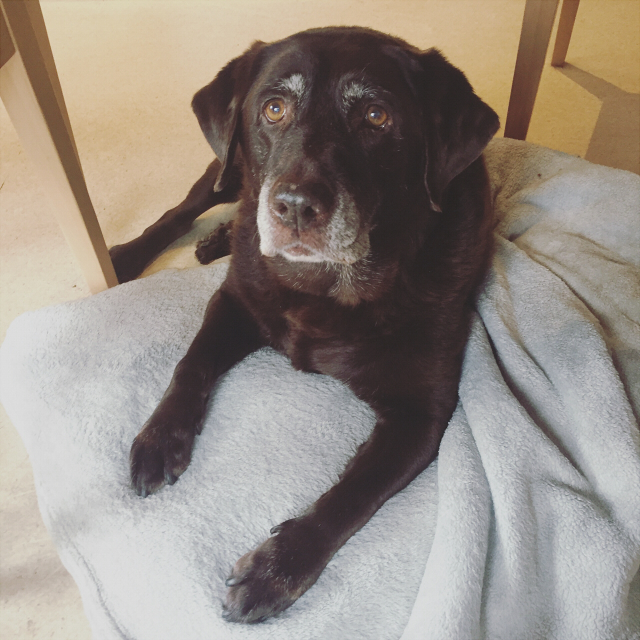 Today's post is about Baby, my chocolate Labrador. The dog that made me a doggy mama and my oldest furry kid. Rocking some red eye circa 2006. Howdy everyone and welcome to today's post. Today I'm going to talk about something else that happened during my blogging absence (yes, I'm really not doing well at focusing on the future...) and that was reigniting my love of poetry. Throughout my teenage years I was goth/emo and obviously awful poetry came along with the gig. I really wish I could find some of those poems to show you and maybe some day I will embarrass myself by doing just that. However, my ability to make myself vulnerable in the way of writing my more dark or intense feelings as poetry slowly left me. I was too self conscious, even if nobody was going to see it. But while I was away I stumbled upon Slam Poetry and fell in love. Not only was I in awe of the poetic genius and the power behind some of the poems but also the poet's ability to stand up in front of an audience and bare their soul like that, with such conviction. I plan to write a post in the future about some of my favourite poems and poets but that's not what I'm doing today. While I may not have my old embarrassing poems to show you, today I'm going to share with you a much more recent embarrassing poem that I wrote. Howdy, readers. Welcome to today's post. I know I said in my last post that I'm going to concentrate on the future but what I meant by that was that I'm not going to go way back and write about all the things I've been up to this year. However, that doesn't mean I'm not going to write about anything before that post. So in today's post I'm going to tell you about the awesome week I had last week and how it came about. 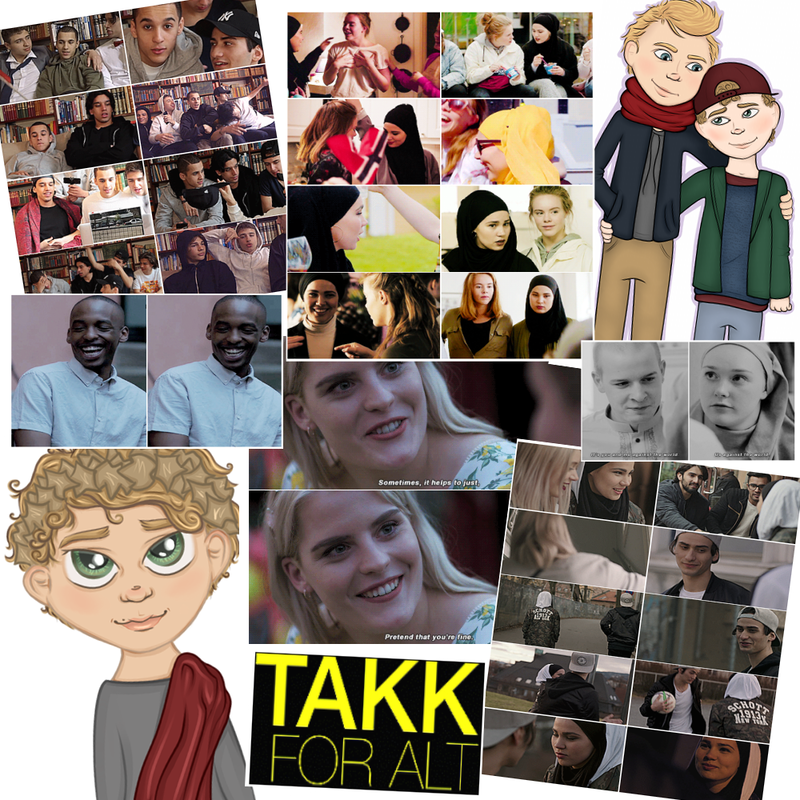 As I mentioned in my last post, back in November I became obsessed with a Norwegian teen drama called Skam. Along with that obsession came an amazing fandom and a group of friends. It was like no other fandom I had ever been part of or show that I'd watched. It was more than a show, it was an experience. The way in which Skam was released was completely unique. Each episode was made up of a number of clips that were released throughout the week in real time. Meaning you never knew when a clip would drop. More than that, each character had social media accounts that would be updated randomly and they'd show you text messages and group chats between characters, bringing a whole new level of realism to the show. It was easy to be sucked in and nobody understood that more than the others that had been sucked in a long with you or that you'd met in the pit of Skam addiction. While I met an abundance of amazing and wonderful people through Skam, I never quite imagined how close some of those friendships would become. I wish I could give you all a shout out but chances are I'd forget one of you and then I'd feel awful. But I digress, I met and connected with some of the most cool and like minded people I'd ever come across but even knowing that, I never could have imagined I'd actually meet one of those people in person! And last week, I had the opportunity to do just that. Howdy and welcome to my first post in forever! 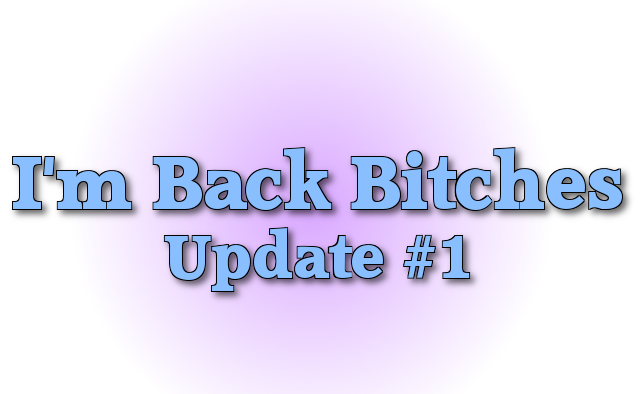 Back at the end of February, I wrote an 'I'm back!' update post. It was supposed to be the first of many after a four, maybe almost five, month hiatus. I then also wrote a small post for rare disease day, after which I fell off the face of the blogging earth again. Back when I wrote those posts, I had fully intended on getting back into the swing of things again but it quickly became apparent that I wasn't ready yet. The hiatus had come out of nowhere the first time round. I just felt like I needed some time to just enjoy life without worrying about my blog. A blog that was supposed to be fun but soon made me feel like I was wasting an opportunity any time I decided to just enjoy the moment rather than stopping to take an abundance of photos for the inevitable blog post I'd write later. It didn't help that I'd been absorbed into a Norwegian teen drama called Skam and was spending the majority of my time on Tumblr with my Skam fandom friends, waiting for the latest Skam content to drop. So I decided to abandon ship for a while and concentrate on other things I enjoyed at the time because truthfully, I wasn't enjoying blogging. Things got a little more serious after February. I'm not going to go too into detail but if I thought my mental health wasn't 100% in the few months before then, it really went down hill after that. My panic attacks came back and I became very paranoid. A lot of my paranoia centred around the internet and that's when I took my blog down and began to reevaluate if I wanted to continue with it at all. If you follow me on social media, you may or may not have noticed I changed a lot of my info online, deleted a lot of content and in some cases deleted profiles and accounts altogether. Honestly, it was a very intense and scary time and while I'm still not 100% and I'm still actively keeping on top of my anxiety and irrational thoughts, I'm doing a lot better. I'm at least at a point where posting content online doesn't make me feel immense fear. The worries are still there, under the surface but I'm more on top of them now. I'm sure this is in large part due to the fact I was prescribed antidepressants for the anxiety. Almost a year has passed since I've blogged routinely and it's safe to say I'm actually starting to miss it. I had thought about starting over, maybe concentrating on writing reviews. Something a little less personal, that'd make me feel less vulnerable. However, I've never been very good at keeping to a niche or a theme. And while I love writing reviews, I also loved writing about things that people really connect with. I loved writing about important things, sharing my experiences or opinions and creating a dialogue with others and having the opportunity to learn from each other. I really don't want some irrational fears getting in the way of that. So what does that mean? It means I'm going to take things day by day, post by post and I'm going to ease myself back in but I'm not going to take anything off the table. I'm not going to box myself or my blog, in. But rather than focusing on updates on things I've been up to while I was gone, I'm going to concentrate on the future. I'm also going to make sure I take time to enjoy things in the moment too, find more of a balance than I had before. I'm looking forward to getting stuck back into creating content, building up my blog again and reconnecting with those of my old readers that have stuck around and the new people that might stop by in the future. I hope everyone has been good and 2017 has treated you well so far. It's hard to believe we're basically on the count down to 2018 already. Let's hope I can make the rest of the blogging year count! 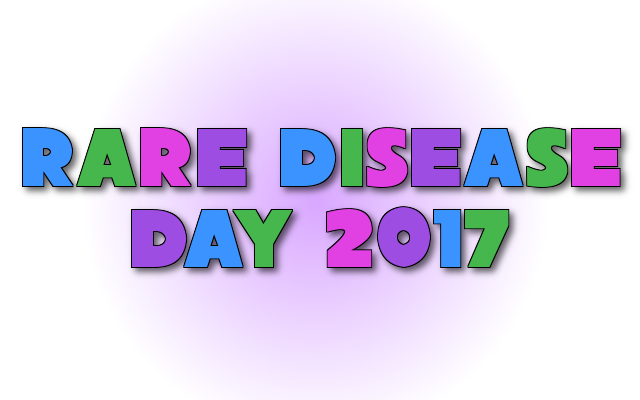 Happy Rare Disease Day! Do we say happy Rare Disease Day? Is that a thing? Merry Rare Disease Day? Anyway, I was supposed to take part in a Muscle Owl video for Rare Disease Day yesterday but things came up and I couldn't, so I figured I would still mark the day in some way. I believe this is the first time I've written about this particular day. The truth is. I wasn't aware that my disease was all that rare until last year when I learned about Rare Disease Day and that my disease was indeed included. Imagine how special I felt? Me! Rare! Who'd have thunk it? Howdy and welcome to my long put off, first of many, catch up posts. 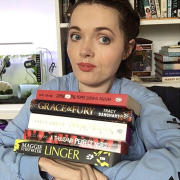 I dipped my toe back into the waters of blogging with a book review I posted just over a month ago - which you can read here. And while I still don't feel ready to push myself to put 100% into blogging right now for fear of it feeling like a chore and losing the enjoyment completely, I do want to start trying to get back on track. So I figured it was about time I gave a little bit of an update on how I am and what I've been up to since I dropped off the face of the earth.